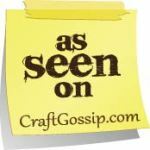 I can't believe I won the WHOLE SHEBANG over at ONE MONTH TO WIN IT!! Thanks everyone for your votes and to my family for putting up with my craziness...I think I should mention I made these rompers while participating in Summerfest, and it was pretty crazy because of the lack of sleep thing going on...but I am still very happy with how they turned out! My nieces Brinlee and Brooklyn both wore them to their family reunion this week at Bear Lake and loved having them and also got lots of compliments. 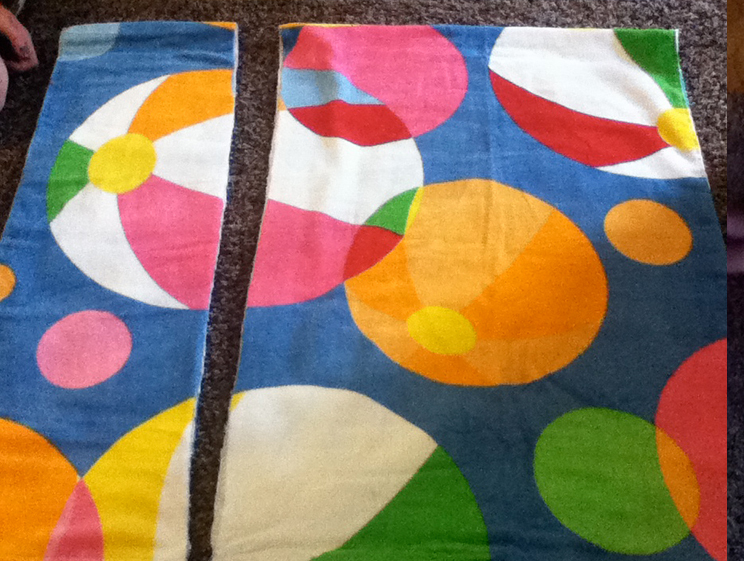 From BEACH TOWEL to BEACH WOW! 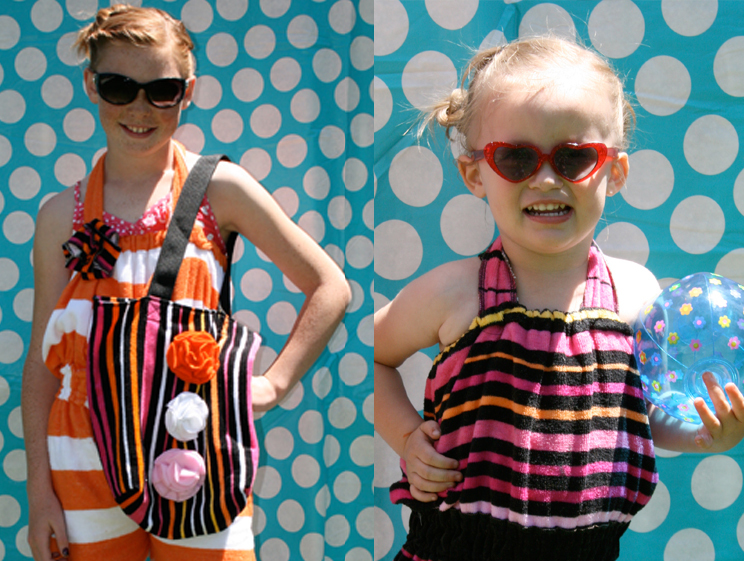 You are going to love these Beach Towel Rompers for all of your Beach Bash Parties this Summer! 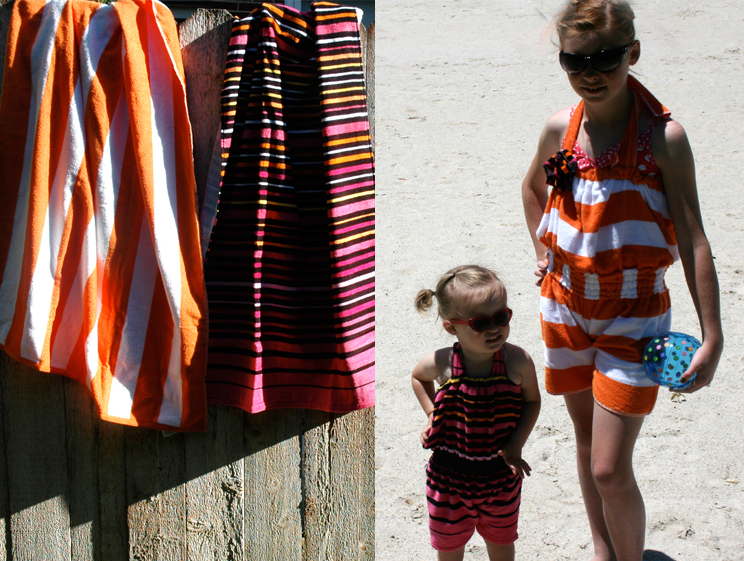 Each Beach Towel Romper is made of a single towel and fits perfectly over your swim suit. 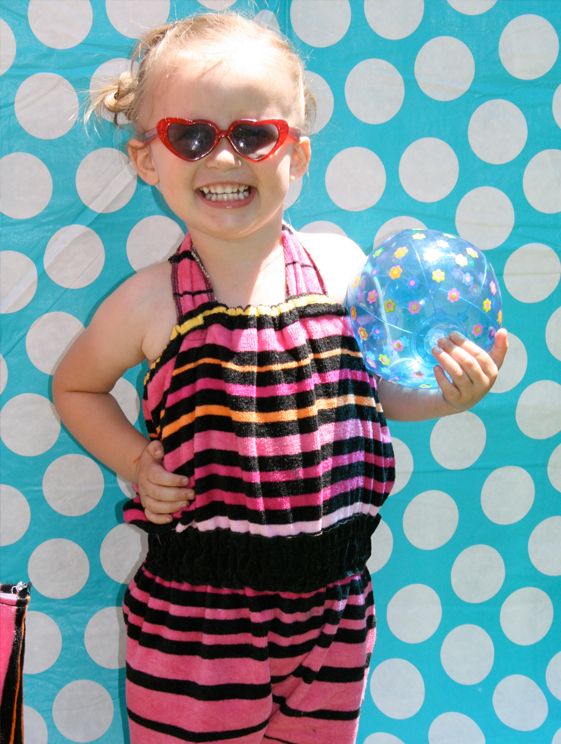 Wear the Beach Romper to the Beach or to all of your Pool Parties this Summer. 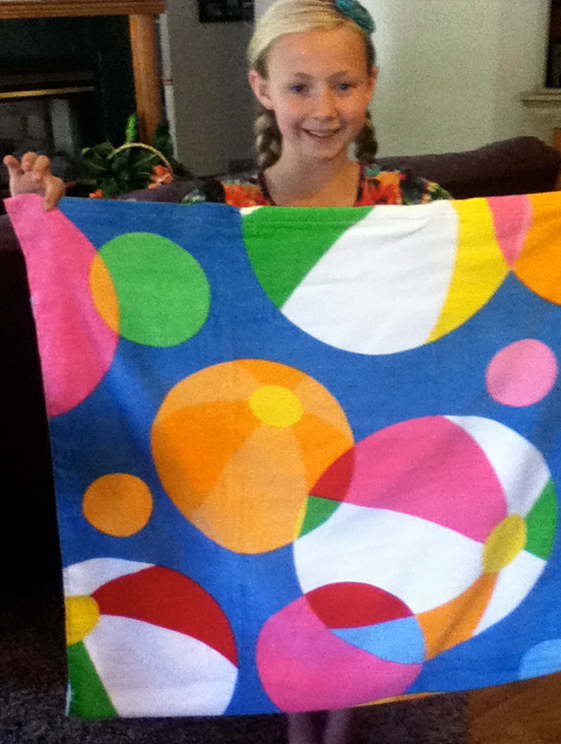 There was even had enough towel left over to make a coordinating beach bag! You guys coming to the BEACH PARTY?? 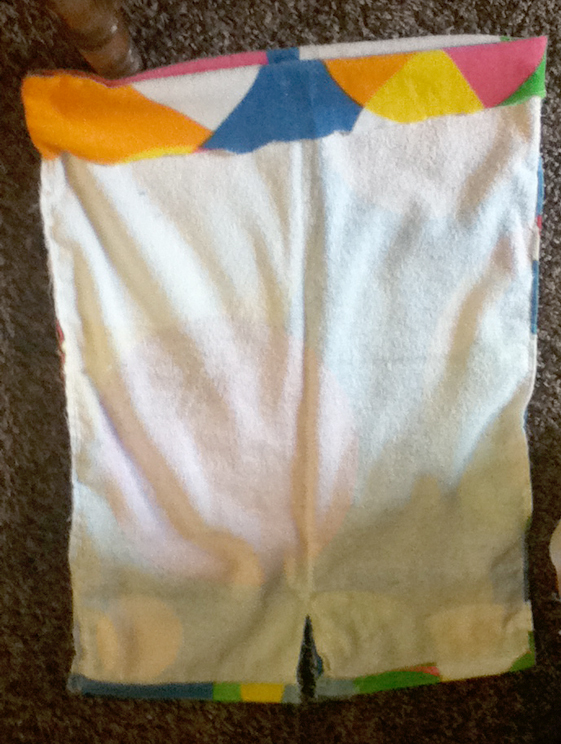 STEP ONE -- Fold your towel in half and figure out the width needed for the romper. I wrapped it from armpit to armpit and added about 4 inches. 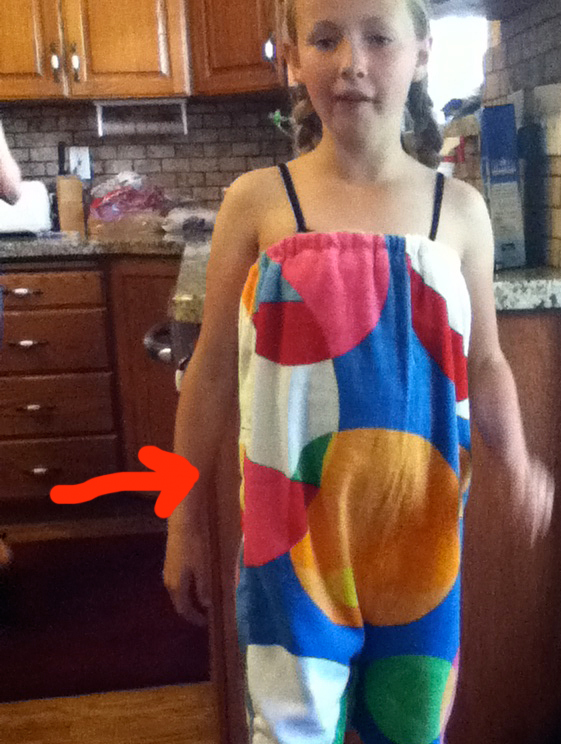 STEP TWO -- Cut the towel into a big rectangle, using your measurements. STEP THREE -- The perfect thing about using towels is using the bottom of the towel to hem your leg holes, this saves lots of time! 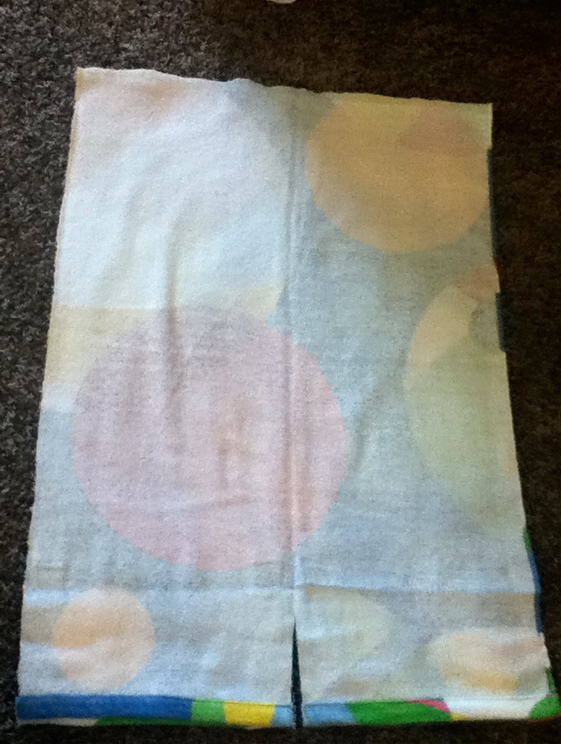 Fold the towel with right sides facing each other and cut a slit directly into the middle, about 3 inches up. This will section your leg holes in half. STEP FOUR -- Sew along the sides with 5/8" of an inch. To finish the edge you can either serge them or a zig zag stitch works just fine!! Next sew along the inner leg seams with 5/8" and finish seams, I actually double stitched this area because I was afraid of seams ripping. 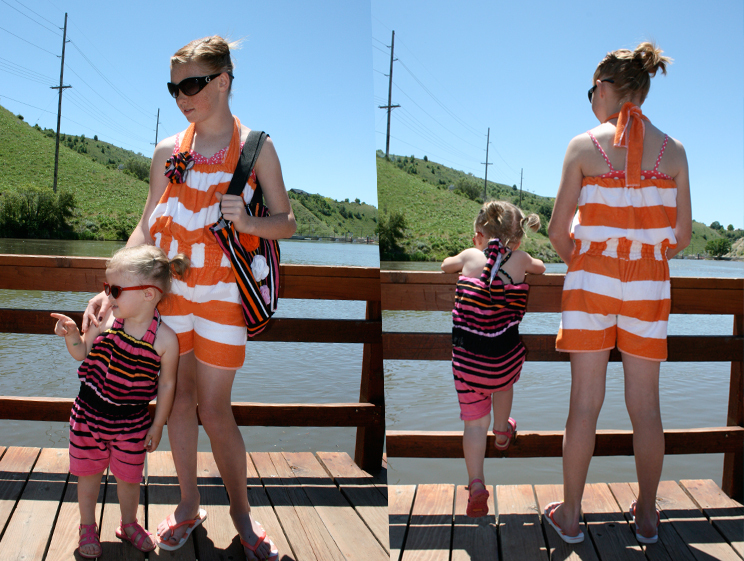 STEP FIVE -- Try the romper on your model to assess how high the top band will need to be. Fold the top of the towel down and trim excess towel off. Double band over and create an elastic casing. Hope this helps you enjoy your Summer a little more, we finally got the sun to shine here in Utah so we will be using our lots this week! again! huge congrats tori! what an accomplishment! i just think the beach romper outfit is so cute and creative. excellent job and you totally deserve the win! Does the slit for the shorts really only go up 3 inches. The shorts look so much longer than that on your two sample pieces. I'm in the middle of sewing one right now! day. It will always be exciting to read articles from other authors and use something from other sites.